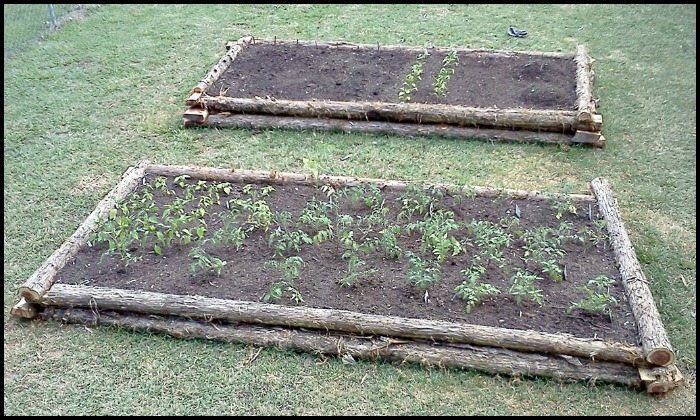 Build a Raised Garden Bed From Logs | DIY projects for everyone! Thinking of growing your own produce? Raised garden beds offer some significant advantages including ease of access and great drainage. An easy way to make them is with logs. Raised garden beds are loved by many gardeners because they make gardening easier! The raised beds keep plants away from low-lying weeds, keep the soil warmer and make tending a little less painful on the backs and knees of us gardeners. In Australia, consider using Cypress pine which is both termite and rot resistant. Think a log raised garden bed fits your yard? Take a look at our album of different garden beds with logs below and learn how to build one from SFGate’s tutorial!